I think the Animal Kingdom Lodge is one of the best resorts Disney World offers. It is authentic, the atmosphere is unique, and the food is amazing. The best part, by far is getting to see animals from the African Savanna right outside your window. 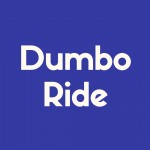 When you are ready to plan your next trip to Disney World, I highly recommend you check out this engaging and distinctive resort. I stayed at the Jambo House portion of the Animal Kingdom Lodge when we went to Disney World last Fall. There is also another portion of the resort called Kidani Village, but this will be a review of the Jambo House. Upon arrival, I was immediately struck with the architecture of the resort. It truly looks and feels like you have just been transported to Africa. There are hand carved wood columns and banisters. The lobby of Jambo House is full of sculptures and pieces of art from Africa. There are comfy couches and arm chairs scattered throughout, many of them surrounding large fire pits. Even before getting to our room, I felt welcomed and comfortable. You walk into a round lobby, the guest rooms run in big wings out of the sides. Each of the five floors look down on the lobby. The sounds echo in the large antechamber, making a pleasant din all around you, almost like you’ve been transported to a marketplace in South Africa. I had checked us in online on the way to Florida and our Magic Bands had come in the mail a few weeks prior. This way, when we arrived at the resort, we were able to walk straight to our room without having to stand in line to check in. This option was not available the last time I had been to Disney World, so it was a very nice convenience. The quality of service at the resort was top notch. All of the cast members were friendly and attentive whenever we needed something. The few times I needed to call for assistance, they were easy to work with and very prompt. Even walking to the bus to go to the parks feels like an adventure, as you wind your way around the side of the building. We were there in late September, which is the best time to go to Disney. We never had to wait for a second bus to get to or come back from any of the parks. There were plenty of benches at the Lodge bus stop for us to sit on while waiting to travel to the various parks, as well. The décor of the rooms are beautiful. Set up to look like an African Safari with animal prints and even faux mosquito netting behind the beds. The beds themselves look hand carved. The savanna view rooms like the one we stayed in open up onto a patio and overlook the 40+ acre savanna filled giraffes, antelope, and myriad other African animals. The patio was our favorite feature of the room. The weather was nice and not too hot while we were there and it was very enjoyable to sit out on the patio and watch them walk around. It felt like they were almost close enough to touch. Sitting on our patio we were able to see impalas, gazelles, gemsbok, and giraffes. The savanna had five or six giraffes that we were able to see. They were typically in front of our room around 6 or 7 pm each night. One of the cooler nights, one of the baby giraffes had some fun and was running around and playing with some of the adult giraffes and even a couple of the gemsbok. It was a delight to watch. In our room, we were hoping to get a king sized bed plus a daybed, but they were out which was a little disappointing. We ended up with a queen and bunk beds. The daybed would have been easier for us to sit on instead of ducking every time we tried to sit on the bottom bunk and the king would’ve given us more room but overall it wasn’t much of an inconvenience. My only criticism of the rooms is that I think they are a bit small, especially for a deluxe resort. The bunk beds made the room feel even more cramped that it would have been otherwise, especially since we were not utilizing them. When staying with just another person it was fine, but I feel like it would have seemed too close for a family of four. The bathroom has a nice vanity area with two sinks, but the attached room with the toilet and shower is a little cramped. The resort does offer two and three bedroom suites as well. Expect to pay at least $300 per night. Boma, Jiko, and The Mara are all located in Jambo House while Sanaa is in the Kidani Village section of the resort. I have eaten at Jiko and The Mara. At first glance The Mara is your typical cafeteria style Disney restaurant. And they have a typical menu waffles, bacon, and eggs for breakfast and burgers, chicken, and fries for dinner. 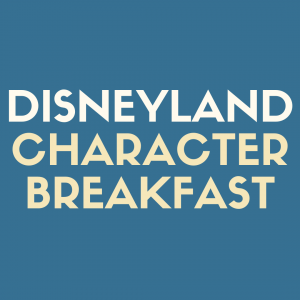 They also offer baked goods, Goofy’s Candy Company packaged snacks, and refrigerated deserts like puddings and cupcakes. What sets The Mara apart is, in addition to the typical cafeteria style fare, they also have various African dishes. The first night we were there, I had a wonderful stew with rice and African style bread. Coming in at around $10 it was delicious and a nice value. Jiko – The Cooking Place is a fine dining restaurant on the ground level of the Jambo House. It is one of the top Disney world restaurants, and my personal favorite out of all the restaurants at any resort or park in Disney World. They are only open for dinner service. Jiko is a signature dining experience and does require a dress code. The menu is seasonal and comprised of African inspired dishes. Although we did not try any, Jiko also offer the largest collection of South African wines outside of the African continent. The restaurant itself is beautiful. There are two large wood fire ovens in the middle. The décor is a bit dark but very inviting, even the tables in the middle feel intimate and secure. Throughout the night the lighting changes. It starts off a goldenrod yellow and changes subtly to a deep red before the night is through. I had a bit of heirloom tomato & goat cheese salad, a bit of boar tenderloin, and a buffalo steak as my entrée. Where else can you order boar and buffalo for dinner? I could go on and on about Jiko, but fortunately other people have. One thing that stuck out to me about Jiko is the fact that they went above and beyond to accommodate allergies. I have a shellfish allergy and our server and one of the chefs both spoke with me about each of the dishes and gave me an allergy menu that clearly marked which dishes had shellfish in them to help me avoid my allergy and have a fantastic dining experience. 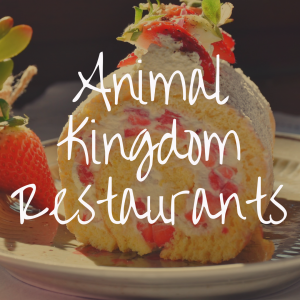 The Animal Kingdom Lodge offers various activities for all ages. They have numerous activities for kids, including a clubhouse and campfire stories. They also have a club and fitness center. The signature entertainment feature of the Animal Kingdom Lodge is the Wanyama Safari. It takes place on the safari area of the Lodge and culminates in a private dinner at Jiko. The only entertainment at the resort I found time for this trip was the pool. The pool at Jambo House is called the Uzima Pool. It is one of the largest pools at any Disney Resort. It features a water slide, a waterfall, and a zero-depth entry to mimic a natural watering hole. I swam a couple of times during my trip and the pool was never crowded. We stayed in a club level room which offered access to the Kilimanjaro Club on the 6th floor where food and entertainment was laid out. The food offered at the Club was ok, but I wasn’t extremely impressed. We used it for breakfast a couple of times. The fare was pretty light, mostly pastries. They also have snacks and drinks at various times during the day. They also have a private patio that overlooks the savanna. There are some neat perks with staying at club level, you get access to special concierge services and you can rent DVDs. However, we did not utilize these services. If we go back, we probably will not splurge for Club Level Access—we really were not in the resort enough to take advantage of it and the Lodge already offers so many amenities we just did not utilize the lounge. One of my favorite features of the Animal Kingdom Lodge is the gift shop. It is a small space located directly to the right when you enter the lobby of the Jambo House. They have the typical snacks, some toiletries, and T-shirts. What sets this gift shop apart is that it is full of crafts and merchandise made in Africa. I purchased a beautiful wooden sculpture of a gazelle that was made in Kenya. They also offer books, drums, and other excellent merchandise that make great gifts or keepsakes. While most of the Disney World Resorts have great atmosphere, I think the Animal Kingdom Lodge is unique in that is truly has the ability to make you feel you like you’ve been transported. One minute you’re in a parking lot in central Florida. Then you step through the doors into a lodge in the savanna of Africa. The true uniqueness of the resorts come from the vast acreage of savanna right outside the windows full of African animals. This area boasts over 30 species of animals including giraffes, zebras, impala, and more. This is one of the reasons the Animal Kingdom Lodge is my favorite Disney Resort. 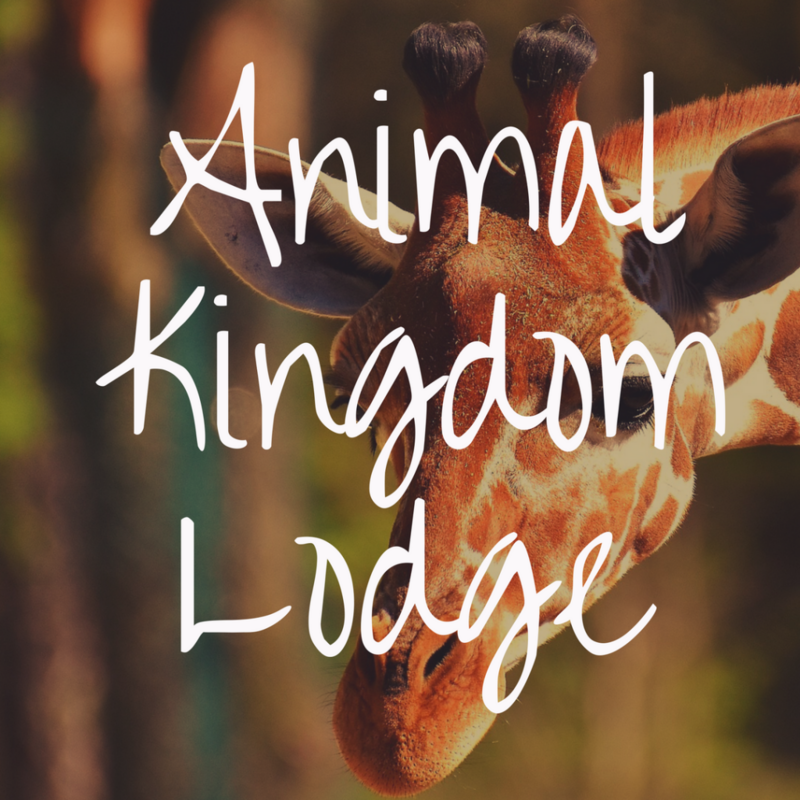 The Animal Kingdom Lodge is one of the highest rated resorts and, hands down, one of the best places to stay at Disney World with kids, or without kids. Though The Lodge is a deluxe resort, I think it is worth every penny, as the atmosphere is lovely and attractive. 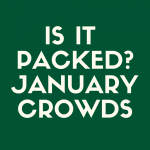 The entertainment is varied and there is something available for all ages. It is definitely worth it to stay at least once. The Animal Kingdom Lodge gets a 5 star rating from me. What Are the Best Disney World Attractions for Adults? 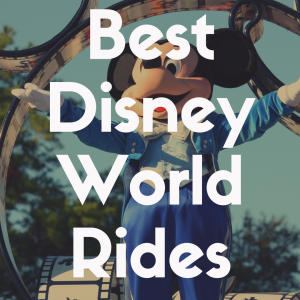 What’s the Best Disney World Theme Park for Adults?